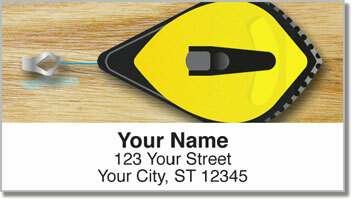 Whether you're a professional carpenter or an avid do-it-yourselfer, our Hand Tool Address Labels are a terrific choice! 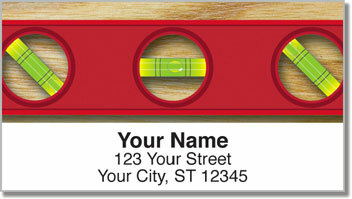 Their stylish illustrations depict an assortment of wrenches plus a chalkline, level and square. 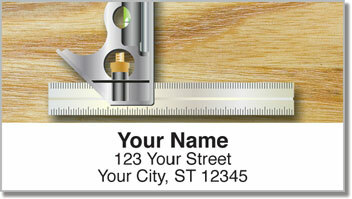 But our Hand Tool Address Labels aren't just a handsome finishing touch for your envelopes and other outgoing mail; as a time-saving tool, they really measure up! 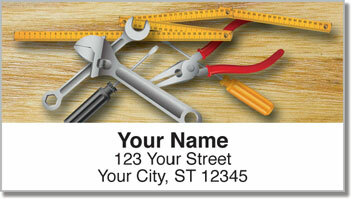 Use them to make quick work of preparing for a trip to the post office. Just peel and stick -- no need to lick! This unique selection is also available as a set of matching personal checks. Order yours today!